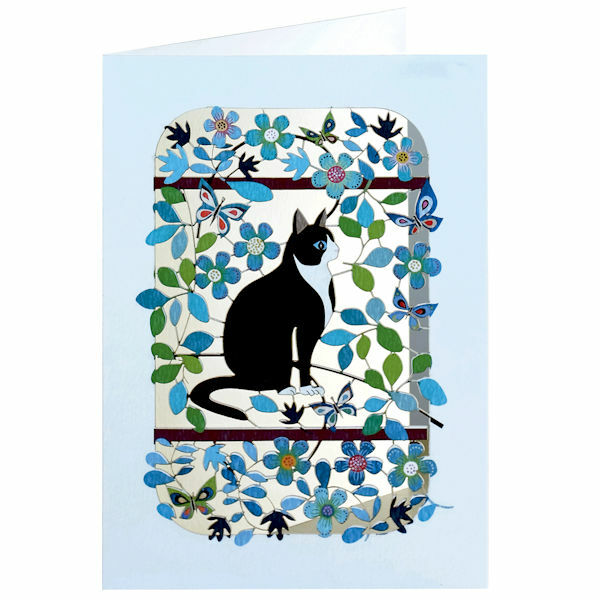 The colorful front is laser-cut with a cat, flowers, leaves and butterflies. There is a blank space on the back of the card for you to write your own personal message. 5" x 7".